Soon after purchasing Motorola Mobility for $12.5 billion, Google announced it would make deep cuts into the company’s staff, reducing headcount by some 4,000. 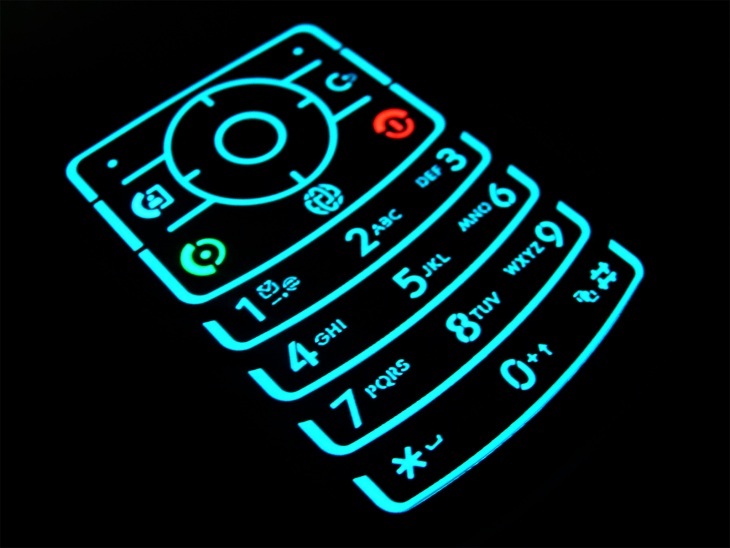 As part of that effort, Motorola Mobility has shut down most of its international sites, including those for Asia, Europe, Middle East, and Africa. On Friday, Sina reported the closure of two of Motorola’s Asian sites. Yet a closer look shows that most of Motorola’s international have been shuttered, as part of the restructuring effort that first started in August with Motorola Mobility Israel. For reference, here are the sites in question: Asia, Europe, Middle East & Africa, Hong Kong, and Taiwan. Click the red “Enter Site” button to see the corresponding message for each site (if we don’t list one of the closed, please let us know so we can add it to the list). We are streamlining our business and support systems, and unfortunately, we’ll no longer have a dedicated website for Rest of Europe. Your local support sites Eastern Europe Western Europe Northern Europe will remain open, well into the future, and we’ll continue to provide support for our products. 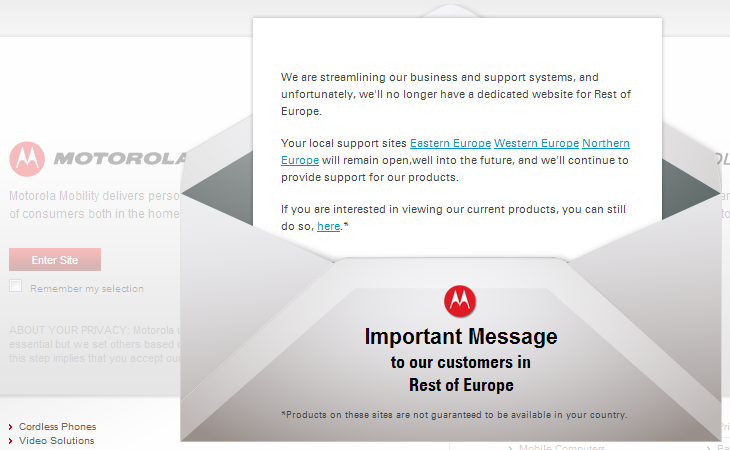 The asterisk points to fine print that helps explain Motorola’s problems: “Products on these sites are not guaranteed to be available in your country.” Not only did the firm have too many poor products, it also couldn’t get its good products into the hands of those who wanted them. While the move may come as a shock at first, it’s not exactly surprising. Motorola has been struggling even before Google bought it last year, and now the losses are hurting its parent company too. Google is essentially trying to stop the bleeding. We won’t see the results of its efforts till next year, at the earliest. Read next: Time to sell your site? Here's how to get started.